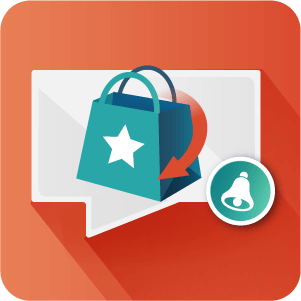 With the Notify Me When Back in Stock extension your customers can subscribe to receive stock notification email when out of stock products are back in stock. Save customers, you would otherwise lose who are looking for products which are currently out of stock. 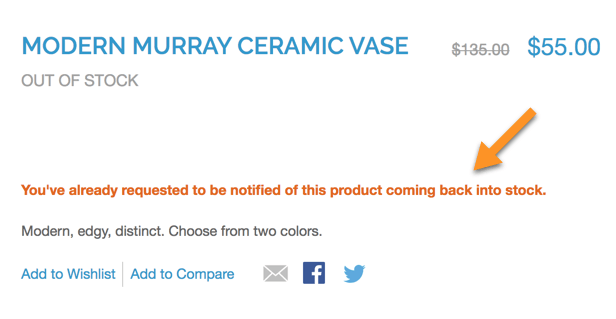 Enable interested customers to enter their email address to be notified when the item is back in stock. When a customer is notified, you can not only make another sale, but you can also increase their overall loyalty and likeliness to return to your store. 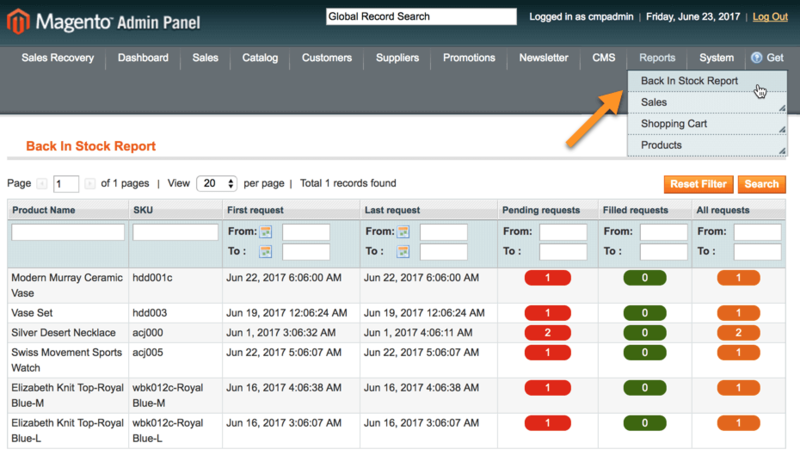 Measure demand for missing products – When you are missing items or stock level is 0 and you aren’t sure if it’s worth investing in restocking them – use our extension to have people leave their requests and measure the demand. 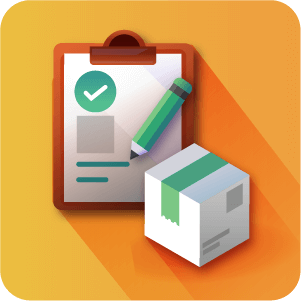 Measure demand for the products you’re considering selling – Use the Notify me when available extension to quickly see what products your customers want to see in your store. Test the water with a new product before investing in ordering it. 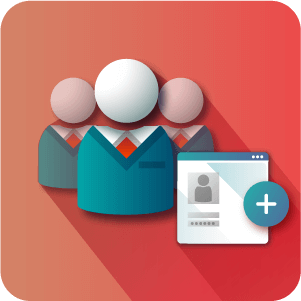 Improve customer Loyalty – Increase your sales and customer loyalty by providing a tailored solution to notify customers when a product they are interested in is back in stock . It’s main aim is to retain customers interested in something you have for sale which is stock-out. It is also useful for floating potential Products on your store, however to see what the interest would be. This is aided by the Back in Stock notification requests statistics. 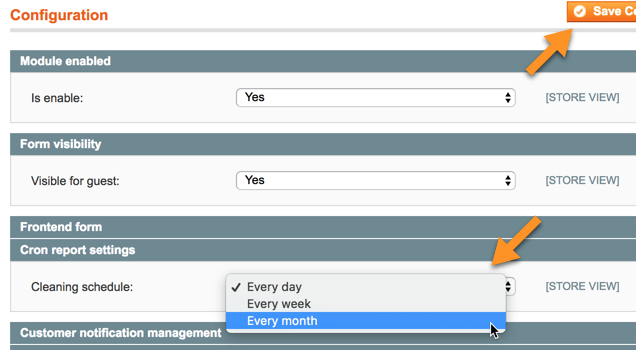 How often are the Requests stored for on the system? That’s up to you, you can configure how frequently they are cleaned. Can I personalize what the Customer sees when a product is out of stock? 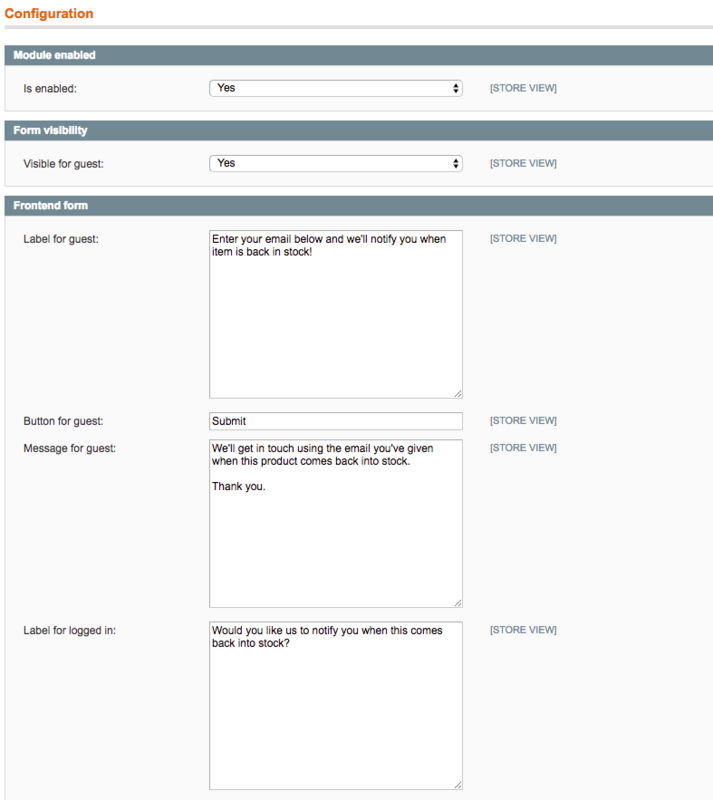 Yes, the front-end form is highly customizable. You can edit the Label that appears, the button that they must press and the message that will display when their Back in Stock reminder request has been successfully submitted. Do users who are logged in need to leave their email address? Know their email is taken from their user information, only guest visitors need provide an email. What happens if a customer requests Back in Stock notifications twice? Will they receive double notifications? 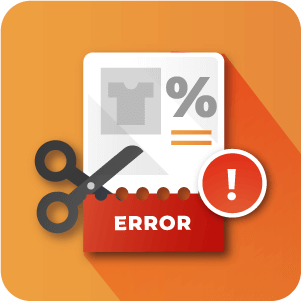 If a customer’s email is entered for Back in Stock notifications for a particular product they will not be able to submit the form again. So no, they will not receive double notifications. 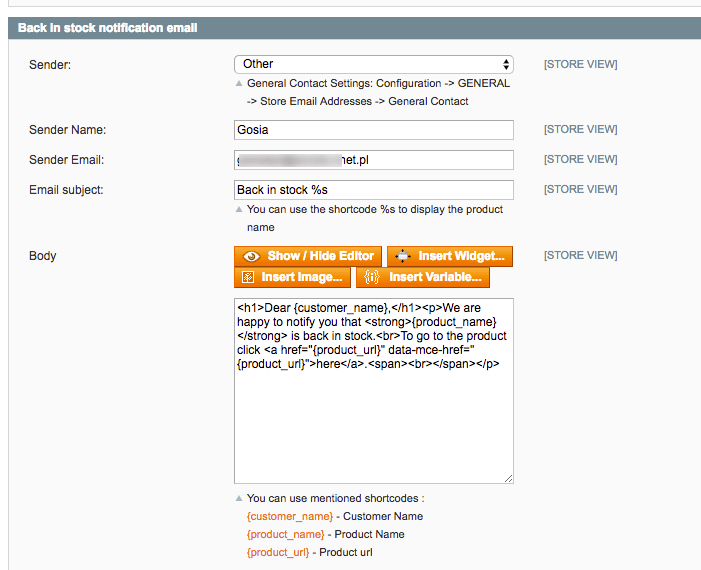 To learn about customizing the Back in Stock notification already requested message see this Help article. 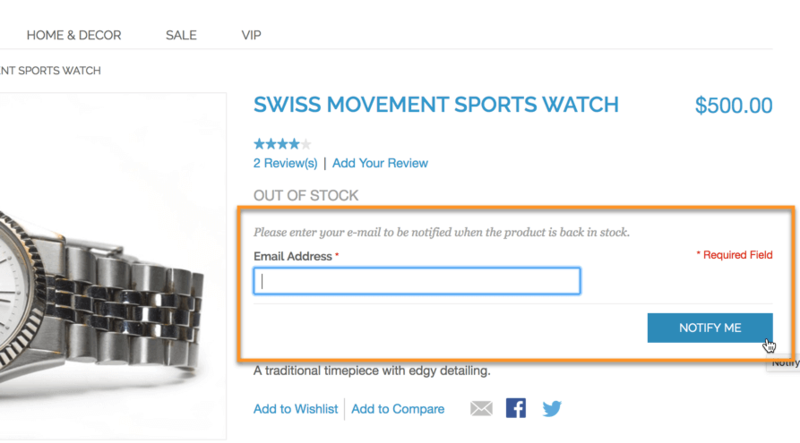 What happens if I have Excluded a configurable product from Back in Stock notifications? In this case, it’s necessary to display a message to the customer that the product they are viewing is not available for the Back in Stock notifications. 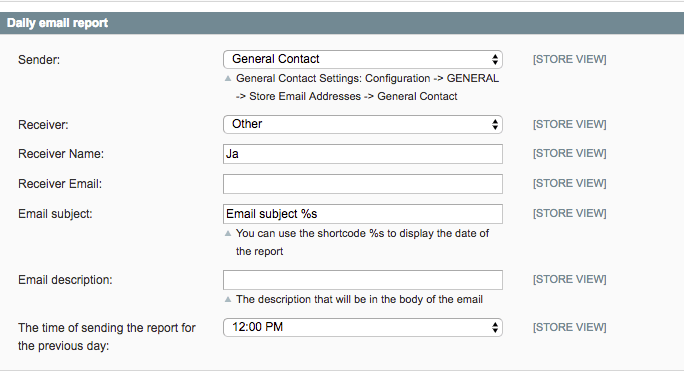 The message that is displayed can be personalized in the configuration settings. Correct notification for all child products of configuration product when using configurable swatches.